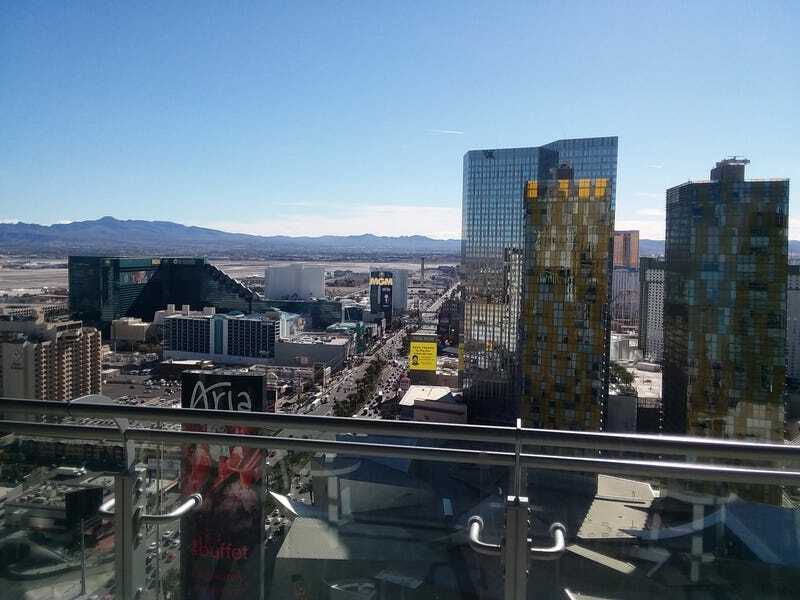 We are starting this vacation right on a beautiful Vegas day from the 55th floor of the Cosmo right on the strip. Just a couple of nights here so we are going to take in as much relaxation as possible. Was an easy 4 hour drive here in the morning, before the sun came up or any morning traffic began in LA. Traveling on cruise control at about 82, I was passed by many flying by at 90-100+ like I was standing still. A few of those resulted in finding them pulled over by the constabulary a few miles down the road so I was happy with my moderate pace. Fuel mileage for the 300 miles ended up around 21mpg and at only $2.99 a gallon for 91, felt quite cheap! Many miles and hours left to go on this trip but I'll take in the nonmoving relaxation for a couple of days with no complaints. Getting pumped for the snow in Utah, 2-3 feet over the last 72 hours should give me some good powder to find on Tuesday!